Thanks to its substantial track record on design of passenger vessels – including participating in design of some of the world’s largest cruise ships – ICE has successfully overcome the general downturn that still persists in the world’s shipbuilding and offshore energy industries. 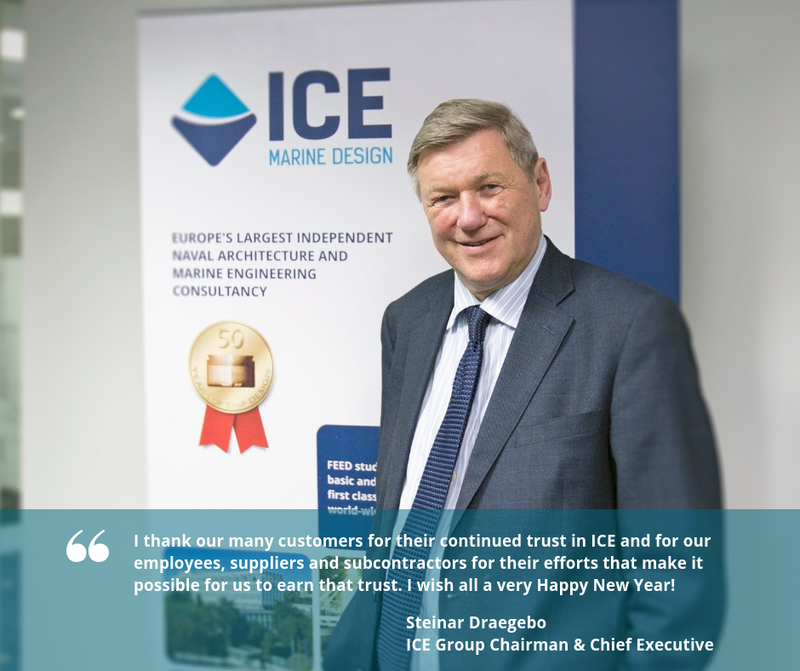 I am confident that ICE in early 2019 will secure additional cruise vessel design orders from established and new customers; I also expect upcoming contracts for design of other ship types for clients in Europe and elsewhere. To meet the demand for our design services, we in 2018 added 40 new employees to our Romanian office. We have substantially increased employee benefits to make sure we maintain our position as an attractive employer so that we can continue to increase our Romanian talent pool in 2019, and we are also preparing for expansion outside of Romania. I thank our many customers for their continued trust in ICE and for our employees, suppliers and subcontractors for their efforts that make it possible for us to earn that trust. I wish all a very Happy New Year!